* Total number of reviews and star-ratings are based on data collected during the time period CMC ELECTRIC, LLC has been using the ReviewBuzz system and may not directly match the data found on each public review site. Martin did a nice job! Very helpful with all my questions ! Josh was absolutely excellent and very professional! This is the best customer service I have ever received, my light fixture was hung beautifully and other fixtures were removed in an excellent manner...I will continue to use CMC for all my electrical needs in the future! 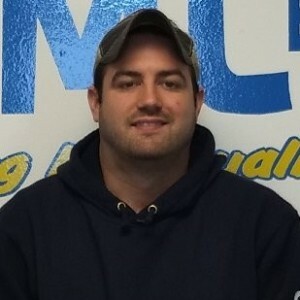 Tim J. is a great, hard-working, creative electrician with a thorough knowledge of code requirements. He helped with our kitchen remodel, making sure that all the lights, outlets and wiring were correctly installed, even when it meant having to fish wires through the ceiling and walls with a minimum of sheetrock damage that will have to be repaired. Tim is easy to work with, both for us and for the other subs that happened to be there at the same time. 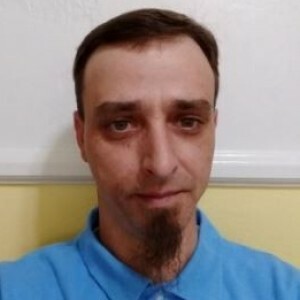 He has a great customer service personality to go along with his technical skills, so we have recommended him to a friend and will recommend him to others along with keeping him as our electrician for future jobs. Martin came within the scheduled time frame and explained what needed to be done and might need to be done. I would use CMC Electric again. Brandon was very knowledgeable about the generator that was installed at our house. He walked us through what he was doing and what needed to be done. I would recommend him and the company to our friends. They are an outstanding company that keeps you informed of what they are doing and when they will be finished. Friendly and easy to deal with. What else can you ask for! Great experience. Got an email and text when my technician, Josh, was on his way. Josh arrived right on time. He was so friendly and understanding. He listened to my concerns and offered a simple solution. He never tried to “up-sell” me or make me feel pressured. I’d absolutely use CMC again. (Josh was also very personable and easy to talk to!) A great experience. Requested an estimate through Angie's List, received a prompt reply. Josh came out a couple days later, on time, friendly, helpful and left the estimate. We scheduled the work for a few days later, Josh again was on time, cheerful and got the job done. There were text messages letting us know they were on the way, a text message about Josh and a follow up survey to make sure we were completely happy. And we are, completely happy. The price quoted is the price we paid. Would definitely use CME Electric again. Tim from CMC Electric was great! He was prompt, courteous and professional. When we were discussing what I wanted done, he actually helped me to make some decisions that saved a little bit of work and money. The quality of his work is great, and I would call this company and request Tim again in a heartbeat! Great to work with. Always responsive on the phone and the technicians who visited were professional, friendly, easy to work with and knew their stuff. CMC sent an email when they were on the way to the appointment with picture, which is a nice safety feature. The work was completed quickly and they cleaned everything up when they were finished. Will absolutely work with them again and recommend to anyone. Excellent service they even arrived early!! Very quick, in-and-out fan installation. Technician *** was professional and easy to work with. He arrived on time for both appointments. CMC sent an email when he was on his way to the appointment with his picture, that is a nice safety feature. The work was completed quickly and they cleaned everything up when they were done. Contacted CMC Electric to come and install two ceiling fans and a kitchen light fixture. I am super pleased with the service their Tech Josh gave me. He is very knowledgeable and helpful. I have several more projects to do around the house and will be call them back to do that work for me. CMC responded in a timely manner to our request for an estimate. *** arrived on time for our appointment, gave us a quote to the penny and performed the job in a competent and efficient way. Our entire interaction with CMC and *** in particular was a pleasure. I would recommend CMC to anyone. Customer service is always a top priority at CMC ELECTRIC, LLC. Our BBB Membership A+ rating is like a badge of honor as we continuously strive to provide the best experience for our clients. Tim J has a 5-Star rating and leads the company in total reviews, making this pro a ReviewBuzz Rockstar! Tim was a pleasure to work with, showed up on time, gave a great quote. I've had work done by CMC in the past and they are fast, efficient and do a great job. **** & *** did a wonderful job. I will continue to call on them when needed. I would recommend them 100%!!! Finally! 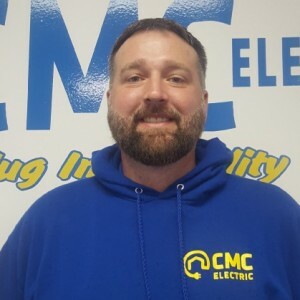 After several years of looking for an electrician to do some basic work and quality Services in general in NC I finally found CMC Electric online! They contacted me this morning and had an electrician (***) out to me within hours to estimate the work I needed. *** was awesome! He was professional yet personable, the quote was reasonable and he commenced work on the spot after I agreed to the quote! Very pleased with the Service I received as well as the work performed! Thank you *** and CMC Electric! Tim was professional and went above and beyond to help. He assisted me in moving a 12 foot cabinet work station. Great job and we will use the company again for any future electrical work that needs to be done. Tim of CMC Electric came on time and professionally installed a front doorbell/camera. The price for the job was as quoted. 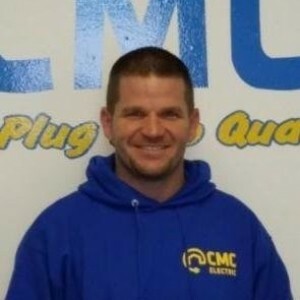 Tim and CMC Electric are highly recommended. Tim did a great job, he was knowledgeable, courteous and I enjoyed his conversation. I would recommend him and his company for future electrical needs. Tim was professional, courteous, straightforward, and efficient. 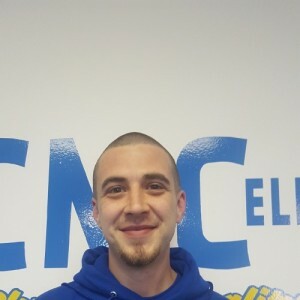 He he clearly knew what he was doing, and quickly completed the four tasks for which we called CMC Electric. Tim did a great job. I have a 3 way switch that did work properly. He successfully resolved the issue by replacing 4 switches. I felt I was overcharged for what what was accomplished. 4 switches could not have cost no more than 3-5 dollars each. However; the issue was fixed and I’m satisfied. Tim J. was completely professional, knew exactly what he was doing, explained everything he would do, and, in addition, is one of the nicest guys you will ever meet. I'm not just satisfied, I'm really, really happy to have lucked into finding CMC Electric. 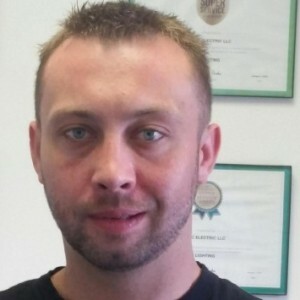 Extremely knowledgeable and Professional Technician. Tim was on-time and gave a thorough explanation of what the job would entail. Tim did a great Job and I will use CMC Electric again for my electrical needs. Tim arrived on time and performed the the requested service. He was very professional and friendly. I highly recommend CMC Electric.